As technology has changed, the way that real estate deals are transacted has too. Often, these changes benefit the buyer by making the transaction easier. 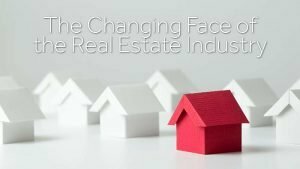 Take a look at some of the ways the real estate industry has changed in recent years. For buyers, locating homes meant perusing the local newspaper for potential homes. A realtor would arrange an appointment or point the buyer to an open house. In today’s market, the vast majority of potential buyers look at homes online. Their agents maintain contact online, as well as send video clips and virtual tours for them to peruse. This change has been a big time saver for everyone involved — Potential buyers are able to better identify the homes that they are truly interested in touring and agents are able to reach out to clients with tailored selections. In the past, buying and selling real estate was considered a relatively simple process. The buyer and the seller met, negotiated and reached a deal. It was not always necessary to involve a third party. Now, real estate matters have become more complicated, requiring the services of a broker and a realtor. It is now the agent’s responsibility to find the buyer, handle the deal and ensure that all of the paperwork is in order. To attract buyers, realtors typically had to host multiple open houses, send postcards and make cold calls. Today’s marketing strategies bring a greater return to the seller and are much more convenient for buyers. These new efficient methods allow the buyer, seller and realtor to be more targeted in their approaches. It’s a win for everyone! When it comes to moving, it doesn’t get much easier than Zippy Shell. If you’ve recently found the home of your dreams, we want you to spend your time focusing on that and not on all the logistics of getting your stuff there. Just give us a call and we’ll drop off one of our portable moving containers. You’ll pack it up with all your stuff (at your convenience! ), and then we’ll come back over when it’s ready to deliver it to your new house! And best of all, Zippy Shell costs about 20 percent less than the competition. Visit Zippy Shell online or give us a call at 614-915-0800 to get a free quote!